Greenland Group Suzhou Center, sited prominently along Lake Taihu, is the defining visual landmark for the new Wujiang lakefront development. With an explicit focus on reducing energy consumption and conserving water, the Greenland Group Suzhou Center employs high-efficiency measures and intelligent structural modifications to minimize the building’s environmental impact. The tower is anticipated to achieve a LEED Silver designation. 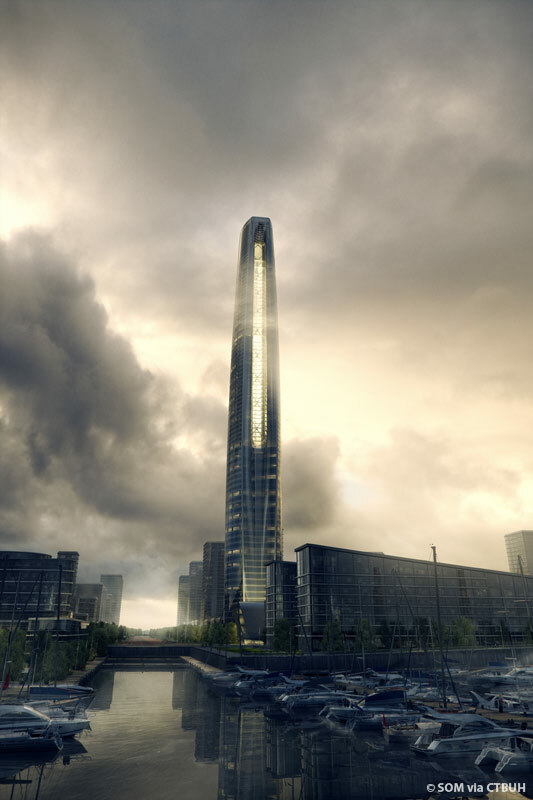 Architects used highly advanced aerodynamic digital modeling techniques to craft the shape of the tower, which contributes to the building’s sustainable performance. The design was subjected to a series of digital wind tests that allowed the form to be refined. Convex primary façades and concave short façades have been shaped to decrease the building’s structural loads and increase natural ventilation flow. Operable panels have also been tucked into the corners of the east and west atrium façades at each floor to allow for cross ventilation when weather allows. The building’s dynamic tapering form effectively unifies its office and residential uses within a gently curved volume that culminates in a 30-story-tall opening, a feature that marks the tower’s presence on the city skyline. Acting as a “lung,” the enormous aperture invites cool air flow during summer months and floods the interior spaces with natural light. The atrium’s façade maximizes daylight penetration, facilitates mixed mode ventilation in the lobbies and public spaces, and acts as a fresh air supply source for the hotel and serviced apartments. Like many expanding cities, poor air quality presents an environmental challenge in Wujiang. Since the greatest concentration of pollutants can be found at lower elevations, fresh air will be supplied through enormous openings at the top of the tower. 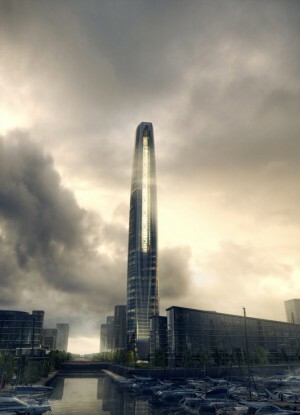 Taken as a whole, the Greenland Group Suzhou Center marks the intersection of elegant design and function, employing advanced technologies to minimize the building’s footprint on the environment.